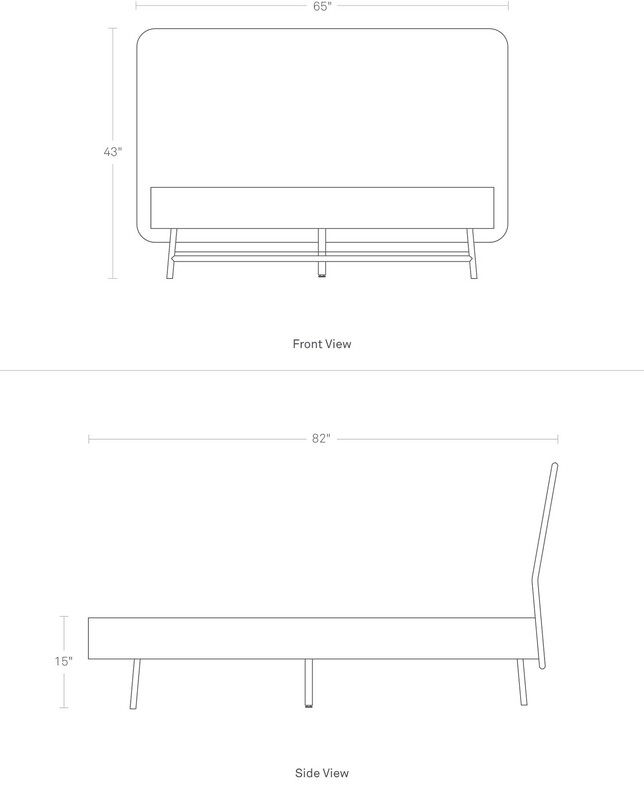 Quiet moves. 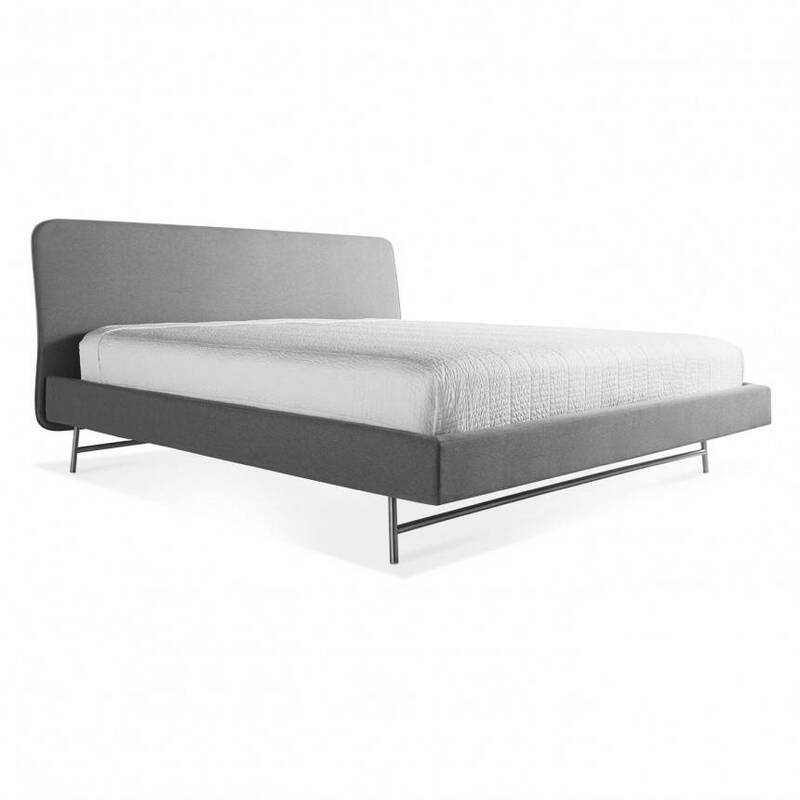 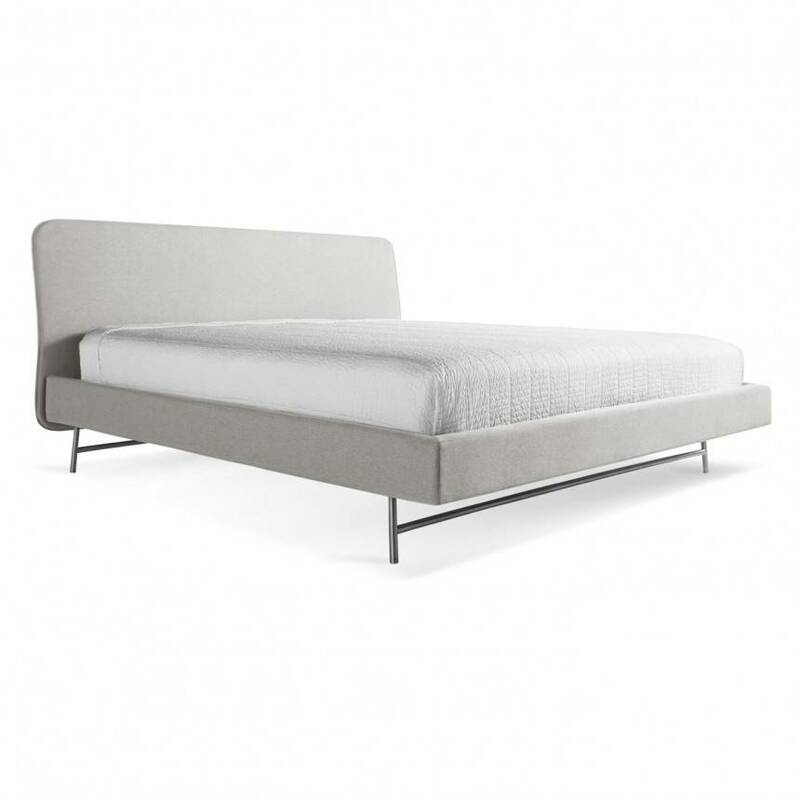 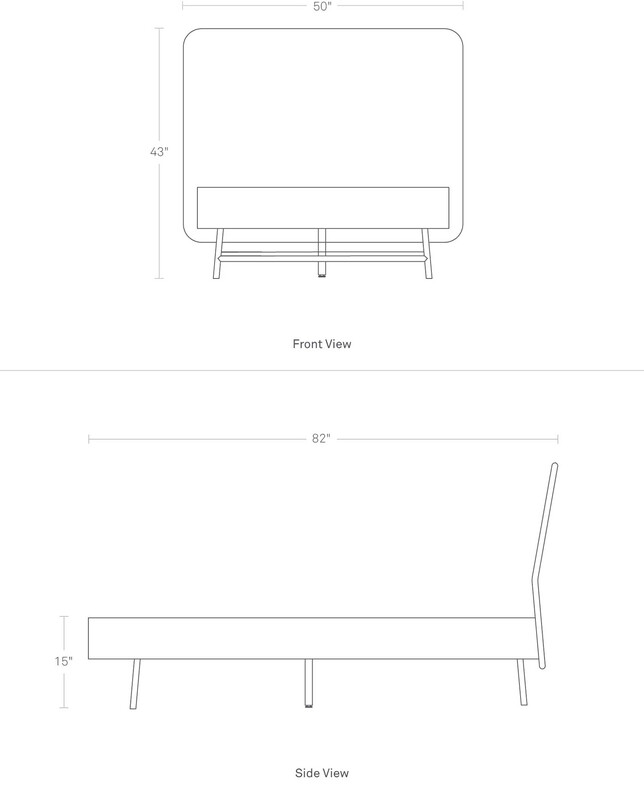 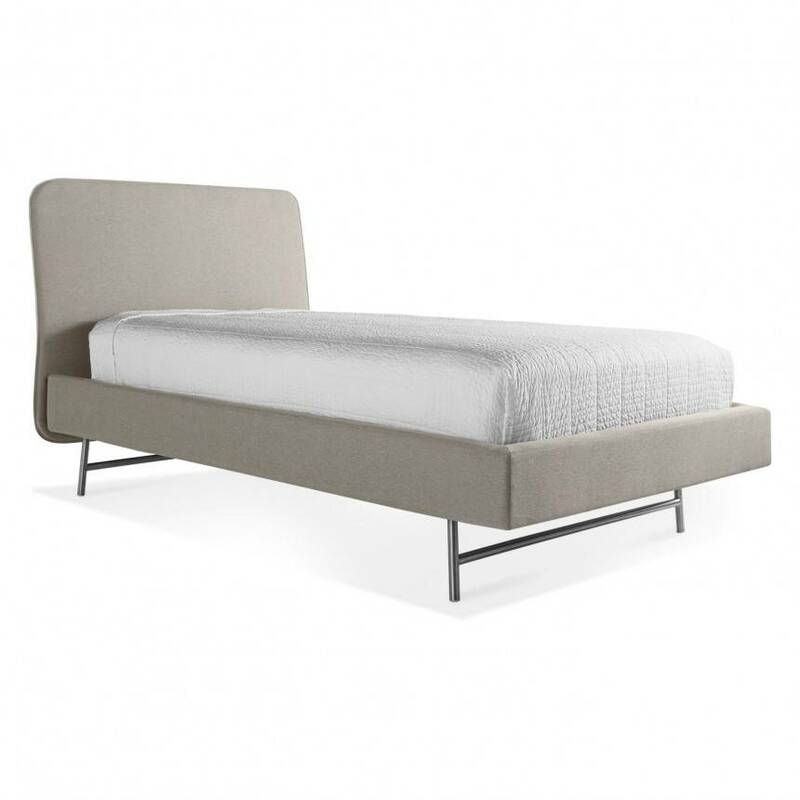 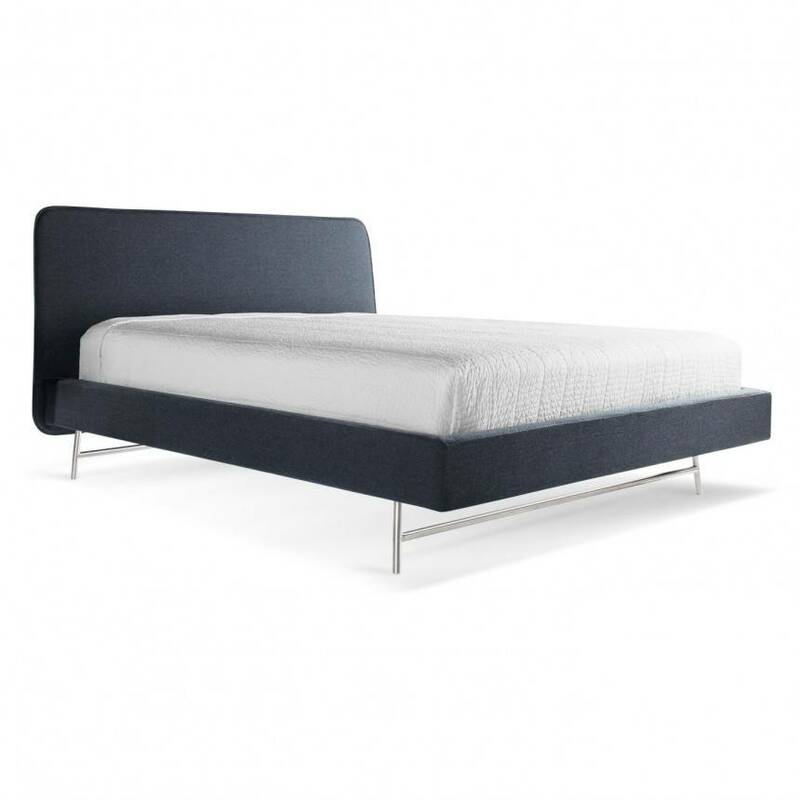 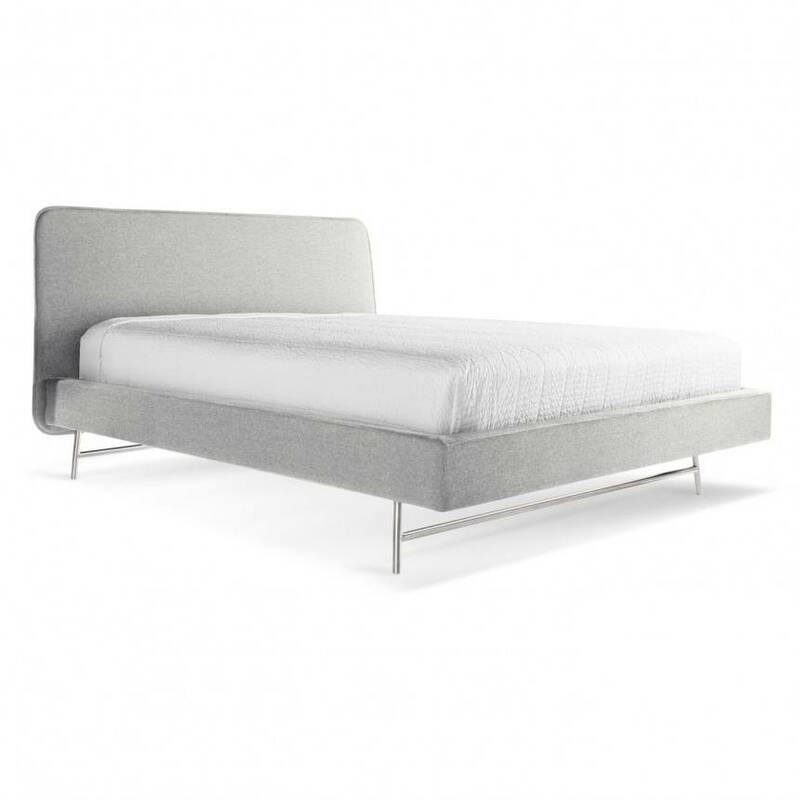 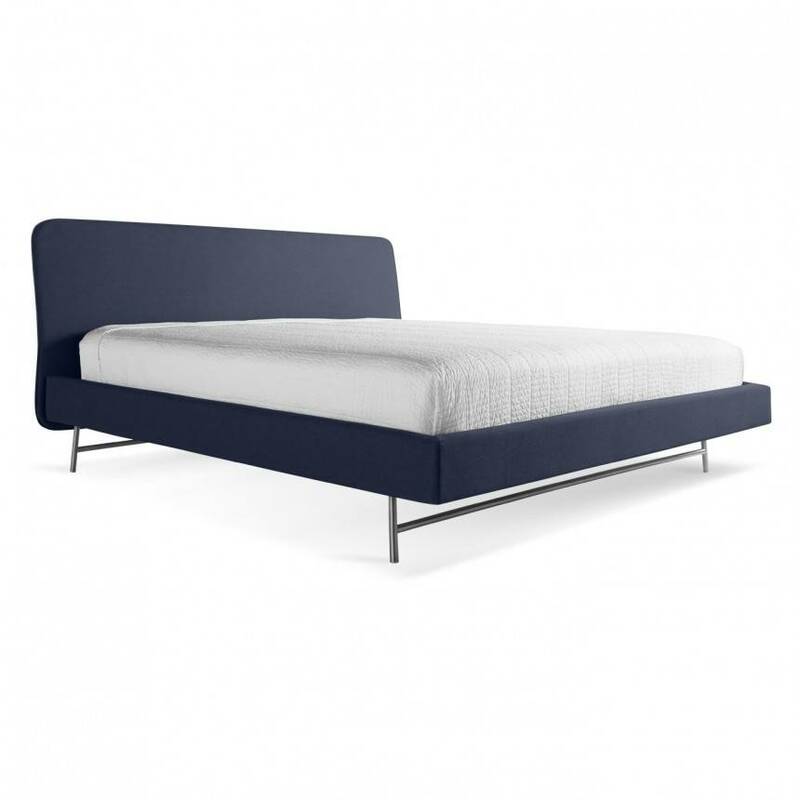 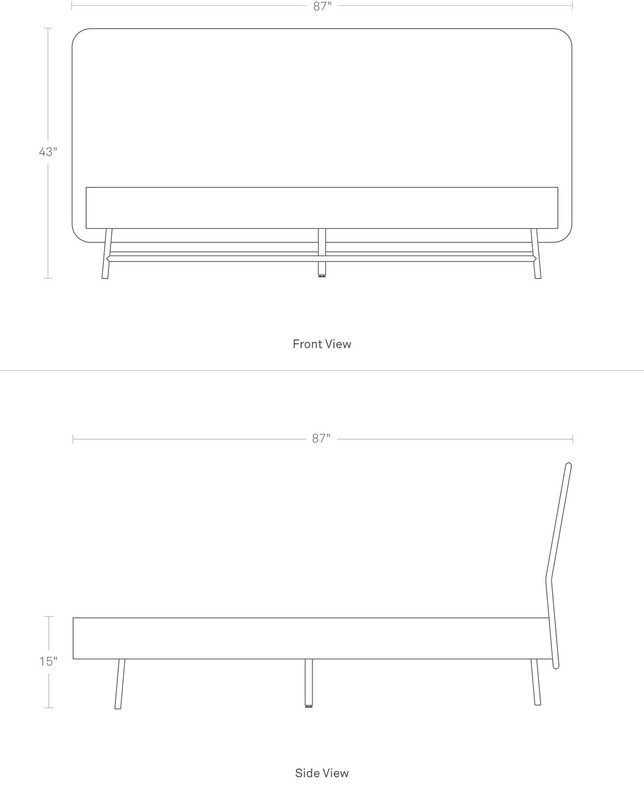 A wafer thin upholstered headboard and padded side rails are supported by brushed stainless steel base. 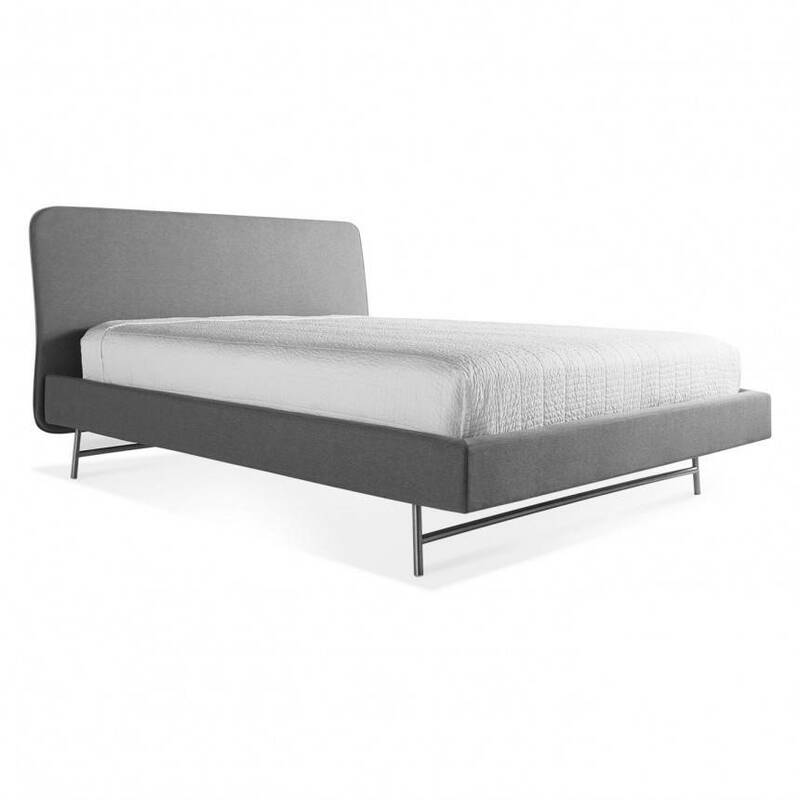 Click here for King dimensions. Click here for Queen dimensions. 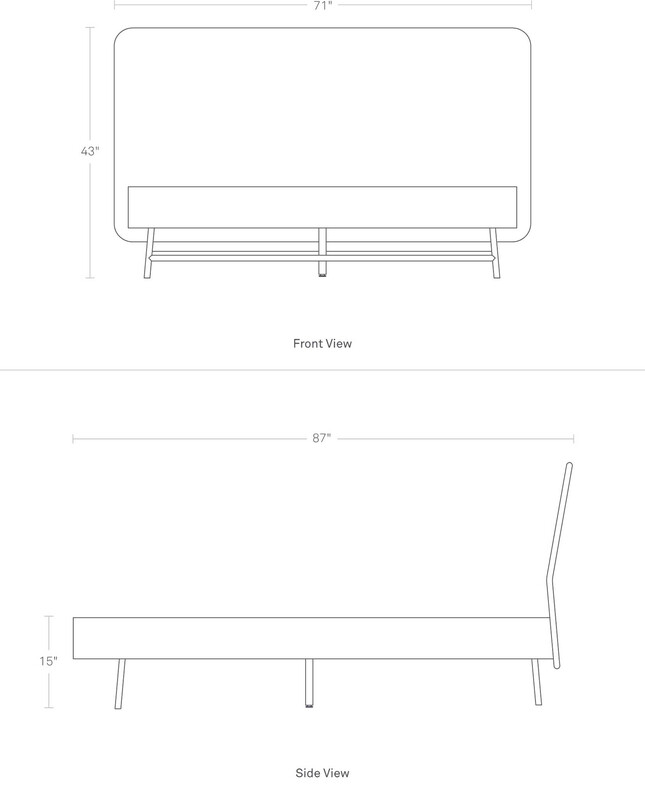 Click here for Twin dimensions.